Home MTAANI NEWS Thika Police arrest a mother of five for selling child for Sh. 50,000. Thika Police arrest a mother of five for selling child for Sh. 50,000. A middle-aged woman has been arrested police in Thika for selling her one-day old baby boy for KES. 50,000. Marceline Olwade Mulate, who is a mother of five (including the sold baby), was arrested by Makongeni police in Thika West Sub-County after reports of the mysterious loss of her new-born baby sometime in July this year. Two other suspects, her 33 year-old husband Wycliffe Achudwa and the alleged ‘buyer’ Loise Wamaitha Muya are also in custody for attempted illegal sale of the toddler pending being arraigned in court. It is alleged that Marceline traded her new-born child on release from a private hospital in the area, just a day after delivery. “Marceline successfully delivered a healthy Babyboy on the 26th of July (2017) at a private hospital in Thika. The following morning her ‘friend’ (Loise) made arrangements to have both the mother and the newborn baby discharged from hospital after clearing her bills,” explained Mrs. Lina Mwangi the Thika West Children Officer. Sources close to the family say that Marceline was seen handing over the infant to Loise on that material day in exchange for some money before leaving for their Makongeni Estate home without a baby. It is claimed that she broke the ‘sad news of the death of their 5th born child to his husband who got disturbed about the strange developments, considering the fact that his wife had no known history of birth complication. It is after some time that he decided to probe further to unearth the truth and decided to investigate further. His fears were compounded after rumours milled around that the loss of his last-born child was choreographed by his wife. A fortnight later, Wycliffe visited the hospital and demanded for a comprehensive report that yielded to the ‘death’ of his son but to his surprise, he was notified that the child left the hospital alive. Upon returning home, his wife missing. It later endowed to him that she had taken off to her rural home in Western Kenya. 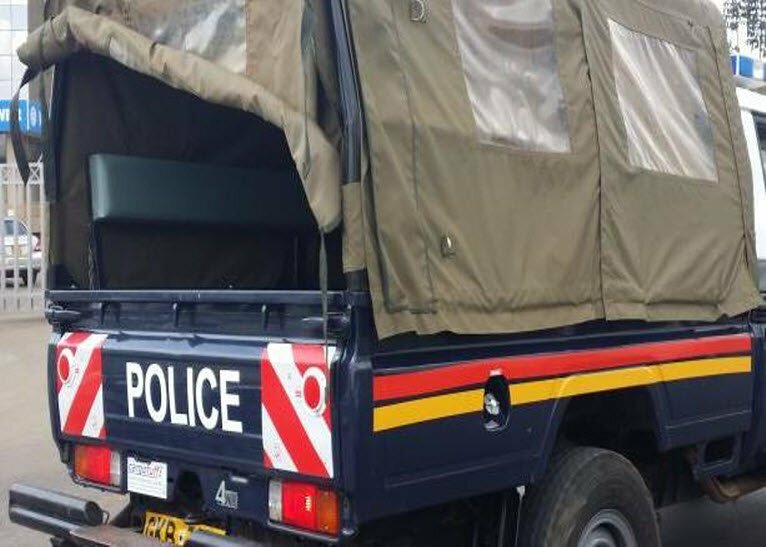 He is said to have reported the matter to Makongeni Police Station who managed to trace the suspected child trafficker in Ruaraka where they rescued the two months old baby boy who had already had his name changed. The suspects will be arraigned in court once investigations are complete.